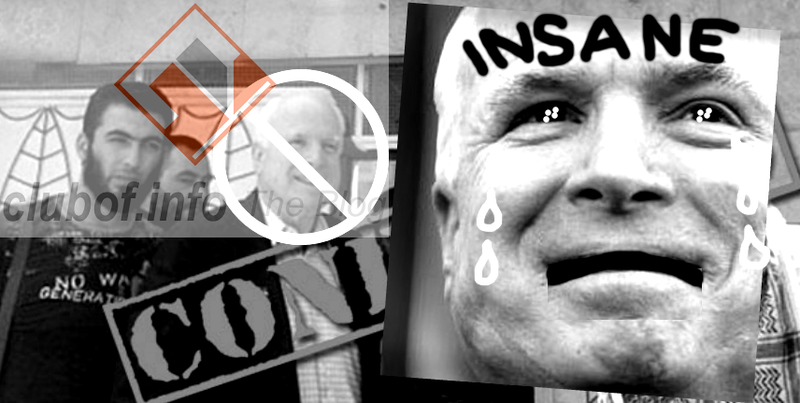 US Senator and Cold War-era criminal John McCain "should be in a straitjacket" rather than Congress. 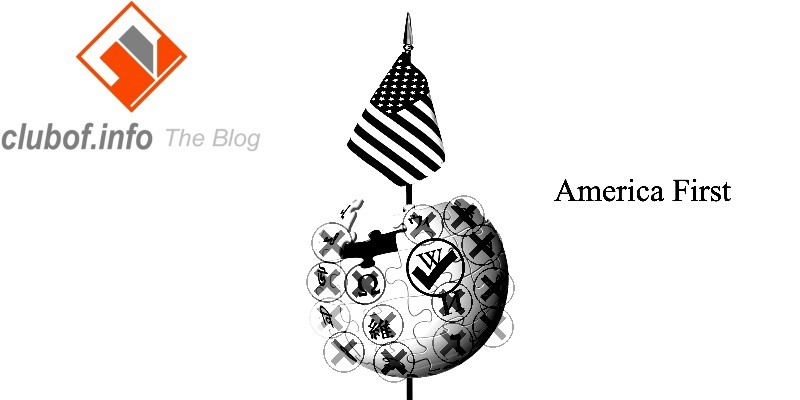 That's the view of Mike Whitney, a conflict analyst writing at CounterPunch in a recent op-ed. The provocative op-ed appeared in the October 21 issue of the well-known investigative magazine, which once made its name by publishing unflattering pictures of Henry Kissinger from a conference in Brazil. McCain is a particular target of ridicule by Whitney because of the way he now calls for the US to start using its air power aggressively against the Russians, interfering in the Russian airstrikes against terrorist groups backed by the US. Whitney characterized McCain's statements as a call for the Third World War, because such action by the US would entail US forces attacking Russian forces, and both sides possess nuclear-capable vessels and aircraft on call to aid on the battlefield. McCain has supported illegal wars that have murdered millions of people, including the 2003 aggression against Iraq and the aborted 2013 aggression against Syria. These wars include the Vietnam War, in which McCain personally murdered civilians by dropping Agent Orange and napalm on their homes. During the Vietnam War, McCain also bombed and murdered 134 US personnel in a deadly incident on the USS Forrestal. McCain's father, an Admiral in the US Navy, covered up the Israeli attack that killed 34 US sailors on the USS Liberty, and also covered up his son's aforementioned murder of US military personnel. It should be noted that McCain's suggestions on Syria are considered useless by US generals at this point, even though McCain has access to the same classified intelligence briefings as them. The US military leadership rejected targeting Syrian forces with its air power as too difficult in 2013. As a result, the US had opted for naval bombardment instead in the planned aggression. This aggression ultimately never occurred as Assad consented to dismantle his chemical weapons, under pressure from Russia. So-called "war hero" McCain seems to have forgotten the military facts on the ground and is even more oblivious to the fact that the Russian Navy has blockaded US access to Syria from the Mediterranean. Considering this, Whitney's analysis sees no prospect of McCain's recommendations being adopted by the Pentagon. However, as Whitney points out, McCain is also a supporter of the neoconservative policy goal of dismantling the Syrian Arab Republic into several warring regimes propped up by Turkey, Saudi Arabia and others. The plan, which was articulated at publications and think tanks, refuses to countenance Syria regaining its territorial integrity. The US has been increasingly panicked in recent days, disappointed as civilians return home to towns and villages secured by the Assad government, which still enjoys majority popular support. The US sees this progress as a threat to its goal of dismantling Syria, depopulating and returning the country to the Stone Age in order to serve Israel at the expense of the US's own security. We reported earlier that Mike Whitney had predicted Russia would outmaneuver the US in Syria, which appears to have come true now. This was prior to the Russian airstrikes, which now appear to have made massive progress against ISIL and other terror groups. Considering the Russian successes, Whitney encourages Russian President Vladimir Putin to push on and ignore any US requests for dialogue, which only aim to delay restoring security to the country.